What Indian bartenders hate about you! There is no alcohol in my cocktail After all that alcohol that goes into making of an LIIT or such tall drinks, it is irritating for a bartender to hear complaints of less alcohol being poured. Please remember, the sweeter the cocktail the less is the perception of alcohol. Some bartenders for the customer’s sake or insistence pour that extra alcohol however it just doesn’t help the customer to be in control of their alcohol levels. 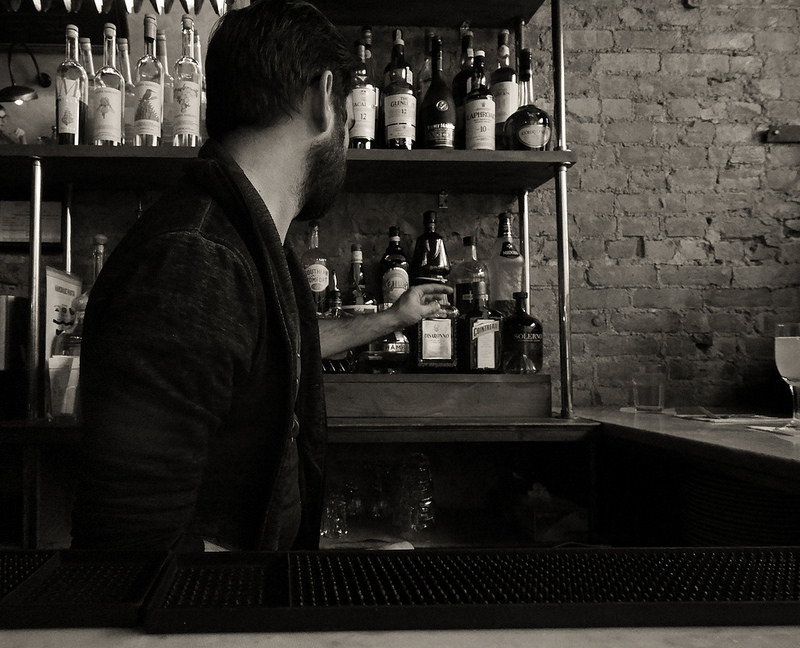 In a busy bar, customer’s often use their loyalty and recognition as a tool to pull out a bottle behind the bar and helping themselves with a drink. Imagine someone intruding into your space at work especially when the bartender’s are responsible to pay for alcohol shortages. Whistling, snapping one’s fingers and other such condescending behaviors to seek attention of a bartender certainly shows one’s upbringing or lack of one. Give respect and take respect, an adage still holds true. The last drinks were announced repeatedly but there will be a few customers who still want to order post closing time and they literally pester the gullible staff. Please remember the bartenders don’t go home as soon as the last customer leaves, they have their closing checklists and tasks to clean the bar and make it ready for the next day. Please be kind and stick to the timing, the bartender does have a life outside of work! When asked to clear the bills after a round of drinks at a busy bar, “Will pay it at the end, here is my credit Card.” is many a times the response. When the bartender insists, “Am I running away” is a certain response. Please remember you may not be a fraud, but there are enough ‘respectable looking people’ who come with stolen cards, cancelled cards with a plan to plunder as much in a given night. All such unpaid bills are often paid by the bartender from his salary. Next time, clear the bills and don’t be fussy. A discount/ free shots/freebies etc which were a tool to delight the customer have become a norm these days. Alcohol is expensive and there are considerable costs to run a bar, if you get a discount great, you may wan’t to ask once, no harm; but please do not be persuasive and bothersome. Drinks take time to make and a good bartender will always give you a good drink without shortcuts. Please be patient especially on a busy night, moreover if you see the bartenders trying their best. The bar counter may be a prime position to be at, but don’t be a jerk to block it during a busy night as there are other people trying to buy drinks, be a little more socially responsible. I love to poke my nose! Do not interrupt conversations between the bartender and a fellow guest. Everybody is trying to get their drinks; you will get your chance. Come 2019 and we look to yet another vintage for the Indian wine industry with a hope of favourable conditions! 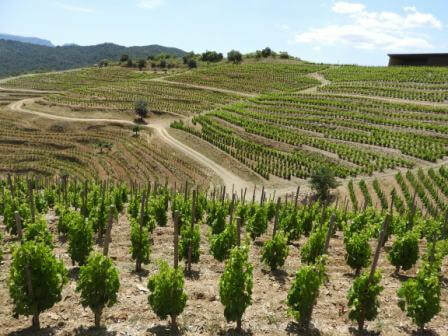 80% of the wine is made in the vineyard and the remainder in the winery with an able wine maker at the helm. 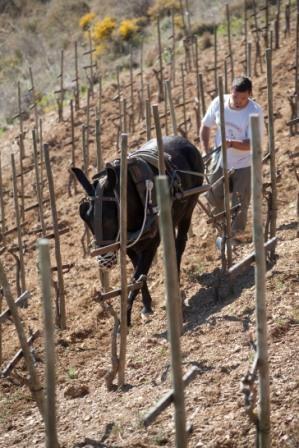 Each year the conditions in the vineyard differ and the winemaker uses all the experience to make the best possible wine given the vintage. Here are the Indian red wines from 2018 which left an impression on us last year. From the family-owned co, this wine aged in new oak barrel showcased intense ripe fruit with sweetness from the oak. A slight touch of smoke and sweetness makes this wine alluring for the Indian palate. It is certainly one if India’s best wine export. This red has the strenghth, the balance and the finesse to woo the seasoned as much as the newbie’s palate. It is currently available in Bengaluru and Hyderabad. 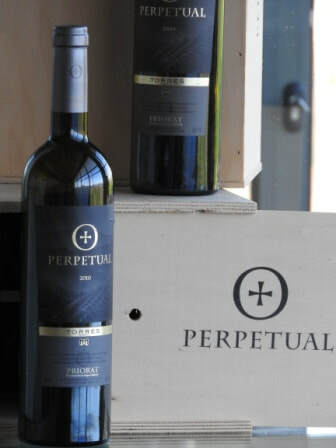 This tempranillo –Shiraz blend from Nashik sees the oak barrel for over a year and certainly needs decanting of atleast 30 minutes before you drink it. And yes, Chene means Oak in French. One of the best wines in India. A French oak aged Cabernet made with grapes from select pockets of Dindori, Nashik is one of the most exclusive from the Sula portfolio. Rasa takes its name from the initials of Rajeev Samant, they say. Dindori is one of the most revered plots in the Nashik viticulture scene and the the Shiraz from Sula has been a workhorse produce a good wine with Oak nuances at a avery good price point. Named after the Tennis great, the VA red impresses with its depth and elegance. This award winning wine going by its name is an absolute Ace. Reveilo with its Italian winemaking connection launched the Sangiovese; a Tuscan grape variety back in 2010 an it has been popular amongst patrons for its easy drinking style with a refreshing acidity and fruit. Are cocktails taking you for a ride? The cocktail scene in the country is picking up however we are far away from even making a scratch on the world scene. The reasons being, not so knowledgeable customer, not so knowledgeable bar management and the third are the knowledgeable but unscrupulous businessmen. In the city there are very good VFM bars, there are very good luxury bars, there are average bars across price points and then there poor bars. The scariest of them of all are poor bars charging you a luxury price for all the frills around than the cocktail itself. What helps these bars fool you? Solid Carbon or dry ice was originally used and still is to freeze things in the f&b context. The usage then extended to the creating a fog like effect in food displays and in todays dates it is rampantly being used for theatrics in cocktail and food presentations. The question is, does the smoke let the establishment charge you more? Also if the CO2 is coming touch with your drink, is the dry ice food grade? Lastly even if food grade dry ice is put in your individual drink, do ensure that it has vapourized completely as pieces of it can cause burns in your mouth. This potent liquid with a potential to freeze a la minute is seemingly child’s play today as any person with a chef coat or a bartender’s attire is using it like mayo in a footlong. No wonder that a hapless victim’s gut was burnt on consuming a drink with liquid nitrogen somewhere in Gurgaon. At -196 degree Celsius it is to be treated as carefully as boiling water, if not more. 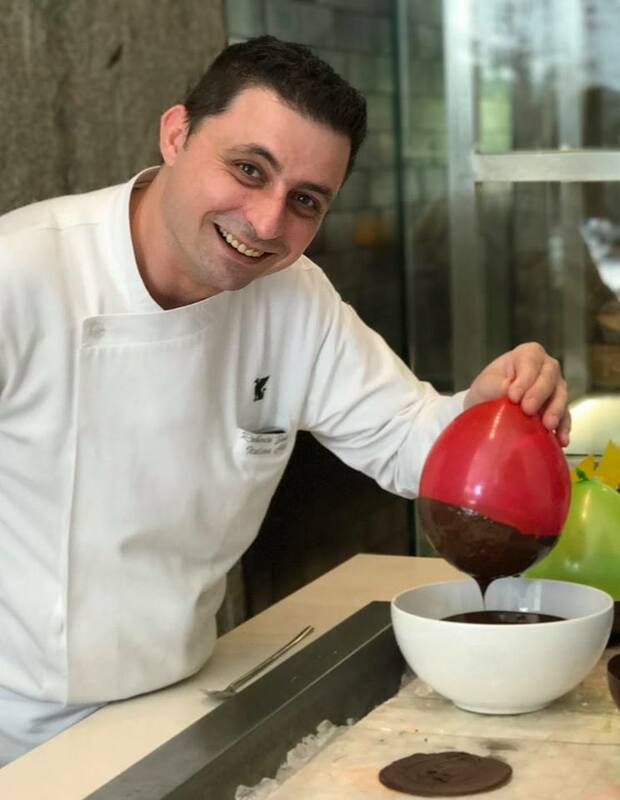 Liquid nitrogen can enhance a cocktail or food experience but it is not the core of the food or drink. Why pay more for a gimmick? Burgers in a mini truck, drinks out of a ceramic skull and other such presentations are great to catch ones attention but the point to ponder upon is; how are they cleaned? If you look at the crevices, no brush but only roaches and mould can reach there. Stay away from such glassware or ask the question… how do you clean them? Also in darker places, switch on your mobile torch and take a good look at the ‘train’ or ‘tractor’ that your food/drink was served in. You may be taken aback! It is science meeting the art of cooking to create something wonderful but only if it is done right. With DIY molecular kits available, many are trying to get molecular to attract customers, but are they getting their act right!!! Next time you eating a sphere or a sphaghetti shot,ask yourself if you really enjoyed it and the taste or were you wowed by the term ‘molecular’. Most good bars have shunned this and gone back to basics with real fruit. ‘A monkey wielding a sword’ is the idiom that stands true for the usage of smoke guns today. The smoke from the gun is used to add that extra nuance to the drink but these young boys decimate it as there is no proper guidance. Most places use it as a gimmick than put it to real culinary use. It is all smoke and no fire. These days with drives to cut down on sugar in soft drinks to packaged food, Cocktails can be offenders too. 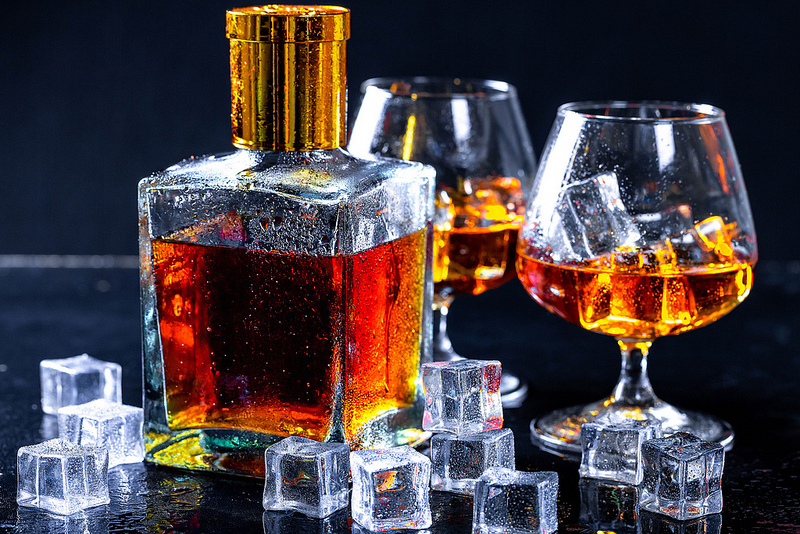 Many cocktail places lace their cocktails using cheap spirits with a variety of syrups, packaged juices and aerated drinks and these ticking sugar bombs will sooner or later grip you by your pancreas! 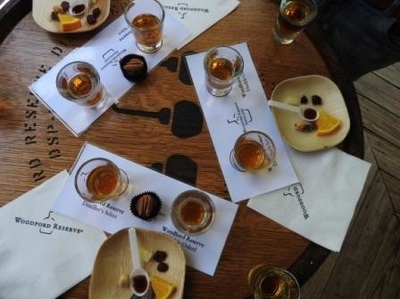 Can wine and whisky bring joy to client and employee engagement gigs!!! India is slowly waking up to the wine phenomenon, the single malt rush, the gin madness, the brew craze etc and Indian are going out than ever before and drinking with family and friends, with bosses and clients as drinking is gradually gaining acceptance as a social activity than a medium to go into oblivion after the daily struggles of life. 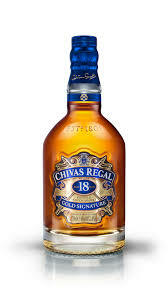 However the aspect that still needs a second look is the one of knowledgeable drinking and this is where the moneyed brands take over the reins and people drink brands than experiences, be it wine or whisky. We at The Happy High educate people on the art of drinking well and responsibly. We get people who are already drinking to savour their drinks with more authority and order one with aplomb. 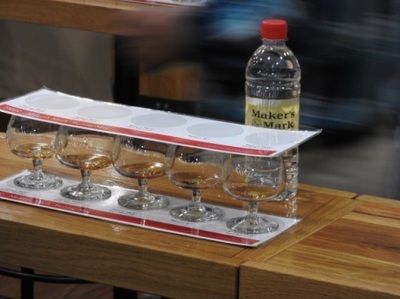 We curate workshops on wine, whisky, beer, cocktails and more for corporate India. These workshops work as great client engagement tool especially in the luxury scheme of things as much as it provides a pedestal to a young sales professional managing foreign markets to engage with his/her clients and close a deal over a glass of a fine Barolo or a 20 year old Islay. Beverage workshops also help make employee off-sites quirky, get the associates educated on the finer aspects in life and also make employee soirees memorable. With cocktail making competitions for example, the team coherence improves via a fun medium. ​​Valentine ’s Day is here and it gives another reason for people to manifest their love. In many of the Continental cultures it still signifies the advent of spring however in the modern times Anglo-American culture connects the day to romantic love. And going out with your loved ones on a special day can’t go wrong. Here are some of the places I would prefer all year around for a cozy meal. One of the most tastefully done restaurants in town, the Romano’s has the charm of a fine-dine with plush banquette seating, wine displays and of course top service whilst the upstairs has a very interactive bar making it a good space for a pre or post dinner tipple. With Chef Zorzoli at the helm, you will see a different/modern side of Italian cooking. 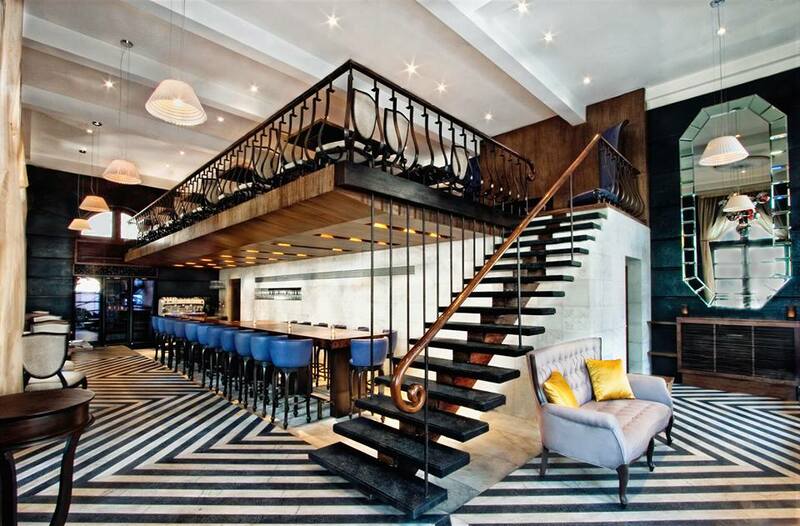 This is a high energy cocktail space with crafted food. 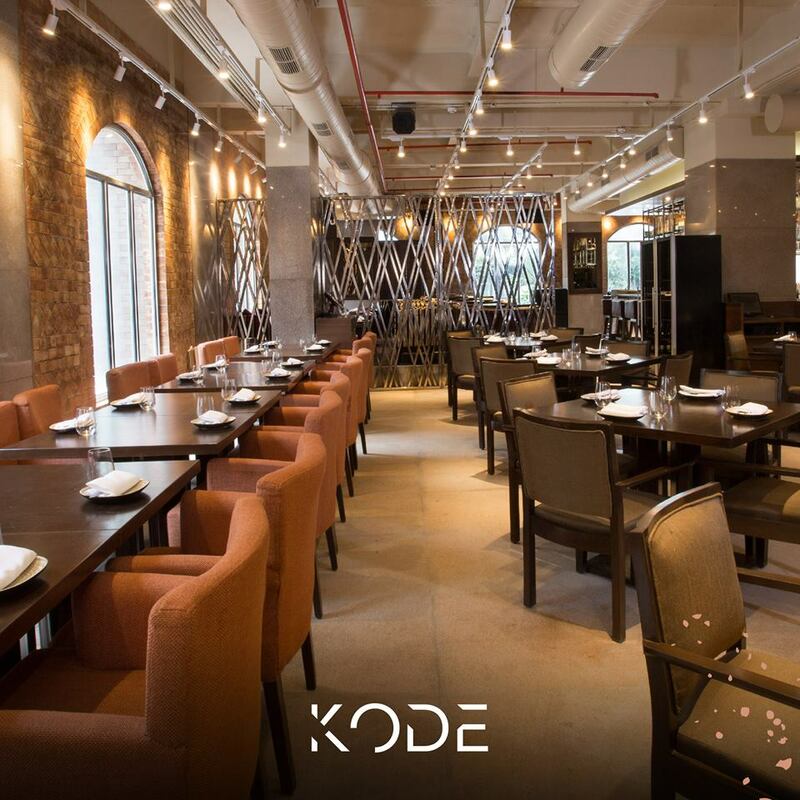 Tucked in the corporate hub of BKC, the Good Wife is not a space for a quiet fine-dine dinner. 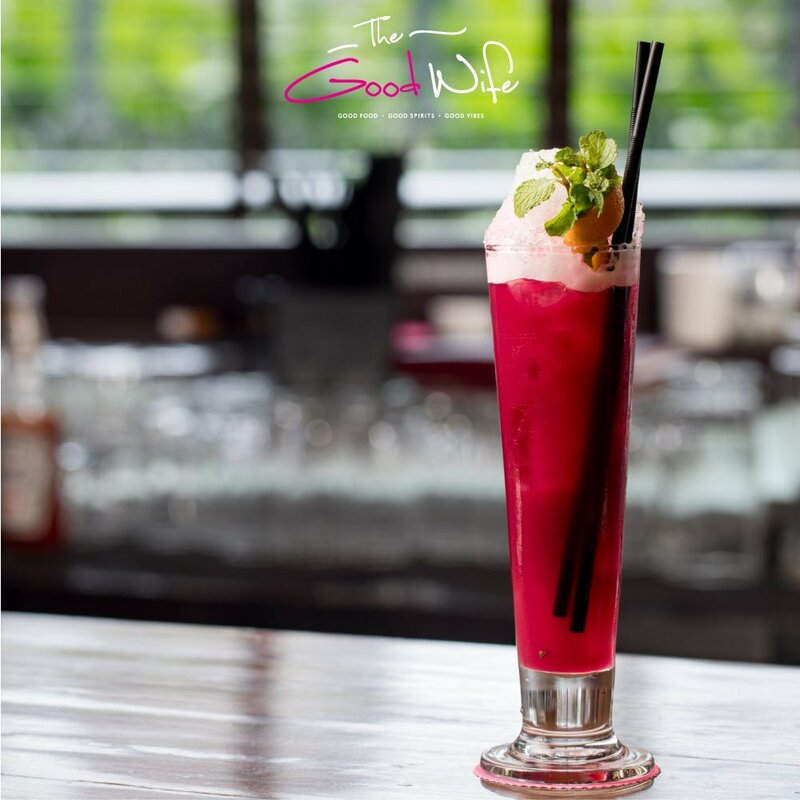 Good wife is casual with a great cocktail culture and comforting food with cuisine spanning Asian to Continental, no Indian though. Gastro-pubbing could be the new Valentine thing! After a round of Valentine shopping at the Phoenix, this Asian Bistro is great sport for some quality sushis, dimsums and other Asian Fare. 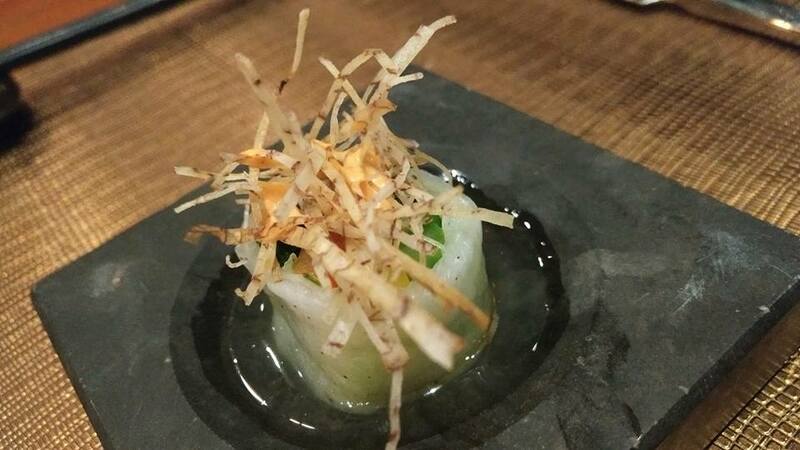 The wooden décor blends in the experience and the drinks menu with Asia inspired cocktails complement to make the evening gastromantic! This bar and eatery boasts of a 130 plus whiskies and 30 plus gins on the menu and I would start my evening with the latter and tonic and end with dram of the former. The food is modern presentation and multi-cuisine and you will love it. Beware the music levels go up as the might progresses, for a quieter dinner with conversations, you must be on your dessert course by 9pm. A restaurant by the beach this one serves European fare with some brilliant sunset-views if you are there in time. They have an open-air and a indoor section, cover charges could apply on busy nights. Food and wine is my call for Estella. 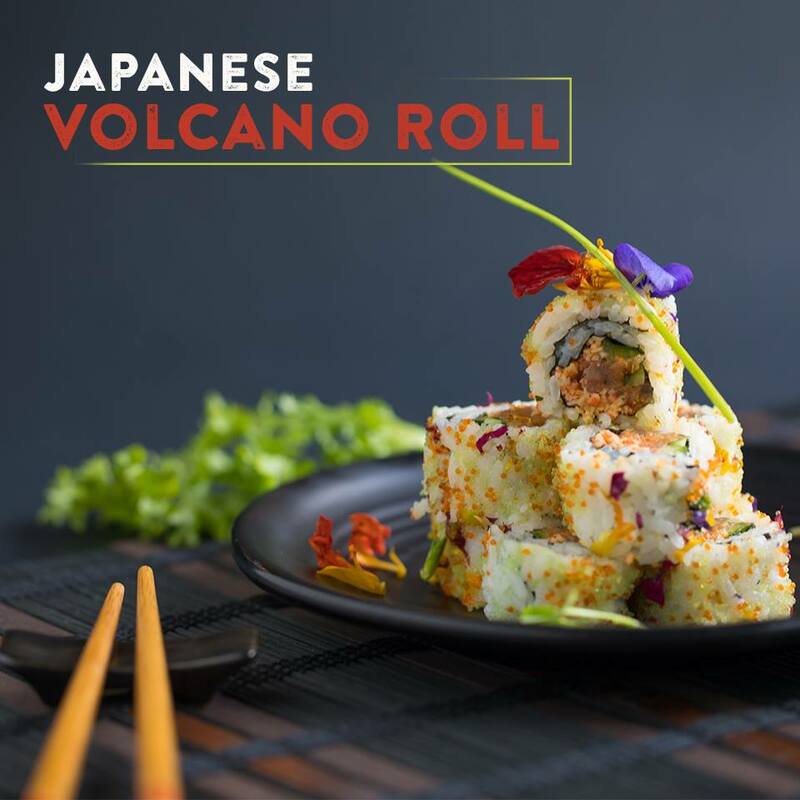 The restaurant emerged in the top few of the Indian f&b scene at some recent awards and their food, drinks and service certainly vouch for it. Food with attention to detail, sustained cocktail (g&t) culture and a robust wine scene are the hallmarks of this place. 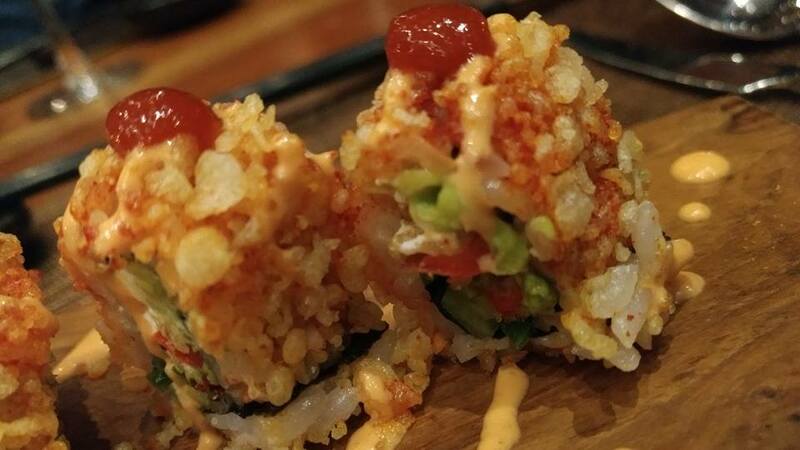 Be prepared to shell out a lot more. 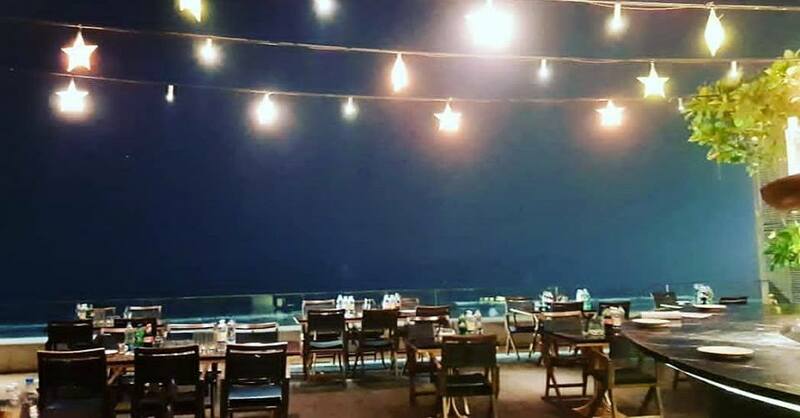 With the sitar and table playing the background, this restaurant helmed by Chef Bala for the last two decades will enthrall you with its food from the south India. 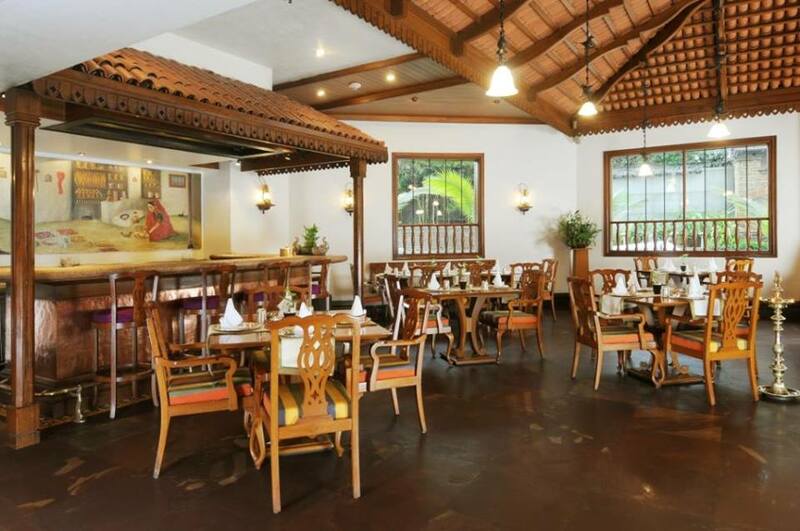 In a traditional Mangalorean home like setting this place is the one you can enjoy your Valentine day with your family with conversations, food and music. When was it the last time you tipped your dentist or your accountant?? Of course they also offered service but you didn’t seem the need to. Why? Did you feel they are as rich as you or perhaps richer? Did you think they might take offence as they are ‘professionals’? So many questions playing on my mind, I am sure they are playing on yours too now. To make things easy, when did you tip your waiter last?? If you did tip the waiter then why not tip an accountant? Tipping these days euphemistically called the service charge is my opinion the cause of certain unsaid divide or classification of the society based on profession. Certain professions like in this case waiters or bartenders rely a lot on their tip for their day to day living; they yearn for those at the end of the day or month. This tipping culture in India I feel strips the profession of the self-respect that each profession should carry. Tipping is done more out of sympathy aka charity than it is out of delight considering tipping is applicable only in certain professions and those are not preferred work options for people. Restaurants may argue about a mandatory service charge as they want their employees to get paid for service, of course I do not deny that but isn’t it their job and aren’t they getting a salary to do it??? Why should a customer pay that extra 10% over host of other taxes?? If the organizations think their associates deserve more; then why not hike up the menu by 10% and distribute amongst staff as sales incentives. You wouldn’t want to leave them to the mercy of the customers, you would want to become that company that cares and respects their employees. On the flipside, baksheesh raj also affects the levels of service; customers receive it based on their looks, the way they dress, the color of their skin and more and the hotel or restaurant associates are more likely to cling to those who are more likely to tip based on their naïve judgment and this is potentially harmful for the brand. So many restaurants where I feel foreigners get better treatment that their Indian counterparts purely based on an assumption of the former’s propensity to tip. No job is menial and each job should be perceived with equal respect. Tipping or no there are enough divides and tipping just adds to getting a particular profession that ‘sympathetic’ angle. Pays in hospitality are low and given there is no self-respect too, not many people want to associate with it and if this persists the industry shall struggle to get skilled workforce to join then and this will take the standard of the entire industry down. If you are an organization that wants to make a difference, then start sales incentives and have a no tipping policy. You will be the change! 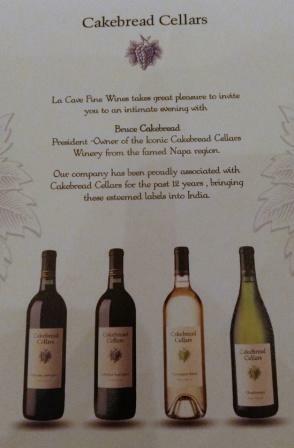 Is India seeing the American wine renaissance! In a room full of corporate honchos at the members-only Chambers at the Taj Mahal Hotel, Bruce Cakebread the owner of Cakebread Cellars, Napa Valley showcased his effort; his wines, one after the other as the top brass of the city enjoyed a sit down meal and spoke about their Napa sojourns and of course the 2009 Cabernet Sauvignon. At another august gathering on the same evening at Yuuka the Japanese restaurant at the St Regis, patrons enjoyed a glimpse of Robert Mondavi wines , the institution in Napa which revolutionized the American wine industry and Mondavi thus got to be known as the Father of American wine. Is this the beginning of the American wine story in India, I thought to myself! 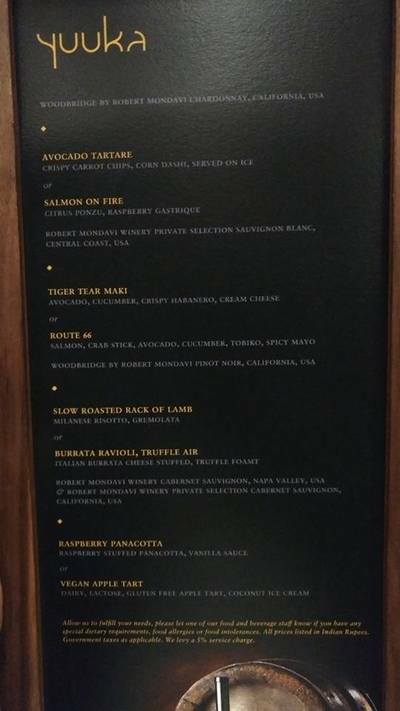 Despite America as a country more recognizable in India than some of the below mentioned its wine failed to find space on shelves and if it did find place on the wine list they moved very slow. Why? In the recent past American wines were represented by Iconic brands like Beringer, Stag’s Leap, Stag’s Leap Wine cellars, Cakebread etc and consumers weren’t ready to pay as much for an American wines as much they were for the French and Italian. It is changing now albeit slowly! Indians are slowly starting to wake up to wines in general and the last six years have been crucial in the overall wine culture growing. 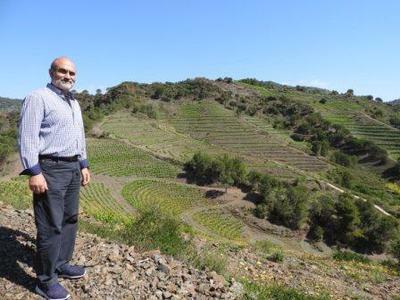 I accredit this to the many Indian wineries who have been making superior quality wines every passing year and also the top importers and modern retail who ensure that wines are reaching us in good condition, it wasn’t the case in the last decade. 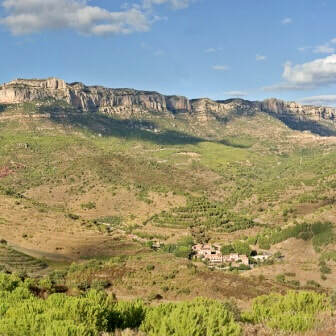 In the 21st century the French and Italian wines ruled followed by an era of inexpensive Australian and then the Chile, South African and the Argentinean wines. Is it time for America? 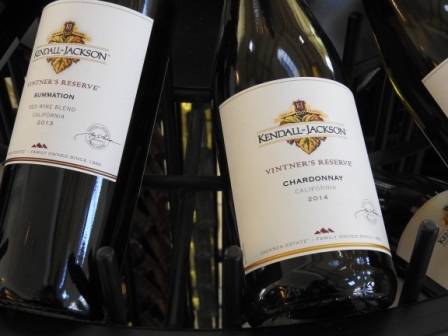 Kendall Jackson from Sonoma and Chateau St Michelle from Washington state have been trying to take a share of the market but have been able to only scratch the surface; below which rule the Jacob’s Creek and the Two Oceans of the world. 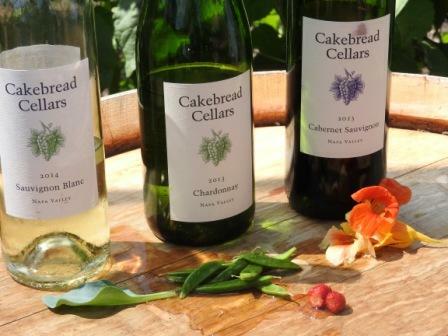 As much as we need might of the likes of Bruce Cakebread to tell us about the purity of Napa so do we need the presence of an Export manager of a commercial cos to tell us stories about 50 million bottles a year! People may say that I’m advocating ‘2 buck chucks’ but the point remains that money and taste can’t be equated and an option should be provided at every price point and America has those options. I sipped on a Woodbridge by Robert Mondavi Chardonnay paired with the Avocado Tartare and thoughts of my Napa visit enthralled as I viewed the Mumbai skyline from the 38th floor of the St Regis! After the Andersen series Flipsydee launched Chateau Timberlay, Bordeaux wines from the house of Robert Giraud at a magnifique soiree at the Sofitel Hotel, Mumbai. In an evening of music, gourmet food, glimpse of cabaret artists from the Lido Paris and art; the wines from Chateau Timberlay flowed to enchant. The venue Hriday was transformed into a beautiful French garden with a majestic replica of Arc de Triomphe in the entrance. 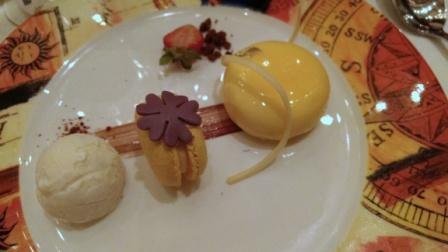 Cremant de Bordeaux, Bordeuax Blanc and two variants of the rouge were unveiled. The wines start at Rs 2990. Chateau Timberlay an estate from the 14th century when the French were ruled by the British takes its name from the strong Atlantic winds that would knock down trees enroute ,'lay the timbers' as the Brits put it. Nonethless the Brits were the one spread the Claret word around and this wine is available in over 75 countries. To Claret, Cheers! Flypsydee one of India's popular wine and spirit importers held the first tasting of the H.C. Andersen’s fairy tales inspired wines from the House of Robert Giraud a popular name in Bordeaux, France. The series comprises a range of wines from the Languedoc region in Southern France with the labels inspired by Hans Christian Andersen the world famous writer of popular fairy tales such as “The Little Mermaid”, “The Wild Swans”, and “The Chimney Sweeper”. As a tribute to his work, Robert Giraud created 6 varietals and assigned a reputed Danish artist Pia Kryger Lakha to create illustrations for the 6 corresponding labels. 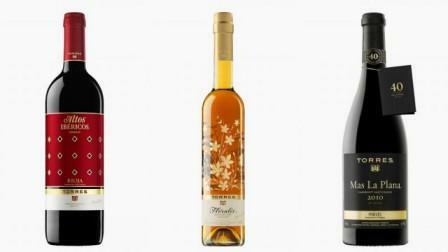 From the fairy tales range three wines are now available in India Chardonnay Columbard, Merlot and Cabernet Sauvignon. At the price of Rs 2390 a bottle the reds are quite a steal,Cabernet Sauvignon was our choice! 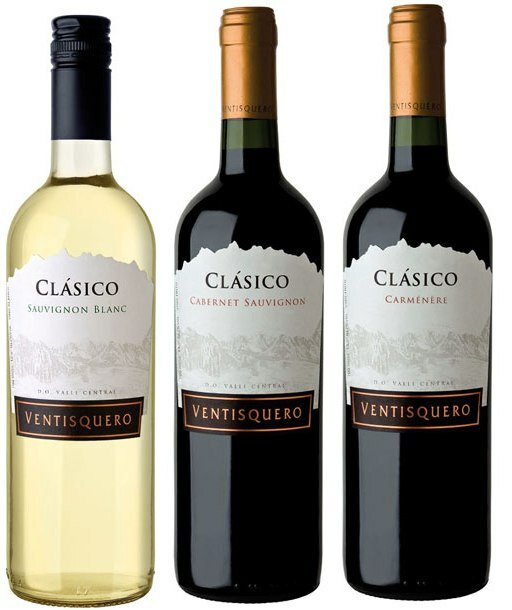 Ventisquero, the 5th largest family owned wine company in Chile makes a comeback into India with a more affordable under Rs 1500 Clasico range. A cool climate Sauvignon Blanc, Chile’s classic Carmenere and their approachable Cabernet Sauvignon are now available in India and are imported by Aspri spirits. 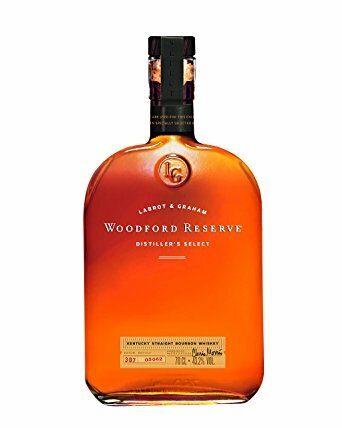 ​Bourbon whisky was named after the Bourbon, one of the original counties of Kentucky when the latter was still a part of Virginia. 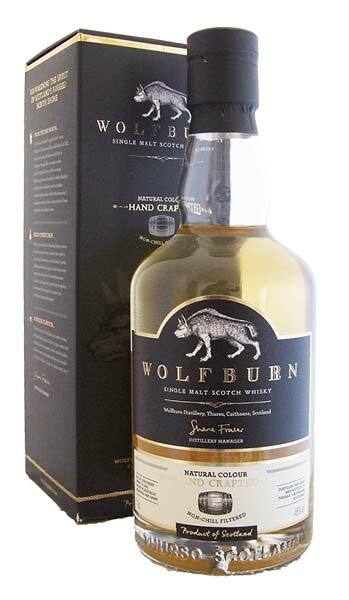 The early settlers in the 1700s, the Scots, Northern Irish, the Germans and the Americans from the east (who were used to rye) quickly understood the positives of producing a spirit based out the native-corn considering corn was in plenty and difficult to transport due to bulk. 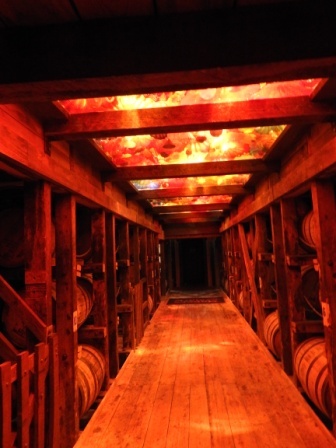 This corn spirit transported in wooden barrels down the Ohio and the Mississippi Rivers to New Orleans aged during the voyage and was appreciated at the final destination and began to be called the ‘Bourbon Whisky’. 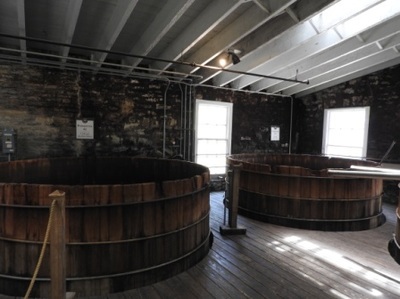 In the 1780s Reverend Elijah Craig; the father of Bourbon whiskey took a step further to char the barrels from inside which today is responsible for the distinctive nose and color of a Bourbon. Now why did he char it has its own line-up of lore. Bourbon is now recognized or believed to be the only ‘native American spirit’ and can be made anywhere in the United States. 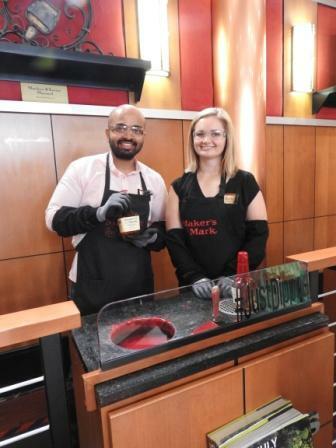 Maker's Mark Wax Dip .. hand-made! ​Now what does it take to be a Bourbon! The Mash bill as they call it is the proportion of grains the distiller uses to make the whisky. To be called Bourbon the whiskey has to contain at least 51% corn. 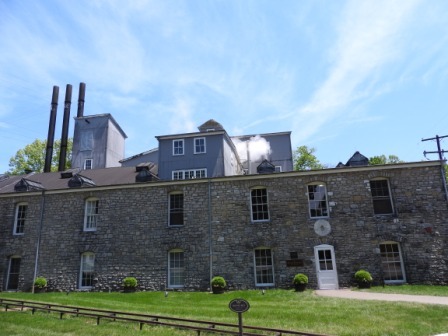 Different distillers would adjust the mash bill based on the nuances they wish to achieve. 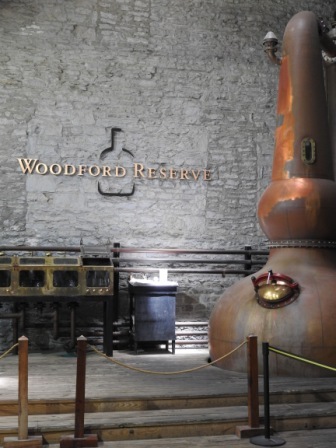 For example the Woodford Reserve uses 18% Rye in its blend which lends spicier notes to the finished product and in Bulleit it is 28% which make it spicier. 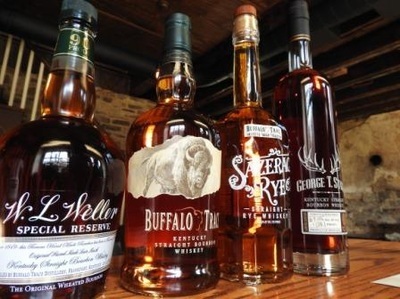 The other grain used is Barley and some Bourbon distilleries are tried their hand at malt whiskies too. ‘Straight’ is the word you need to look for on the label. 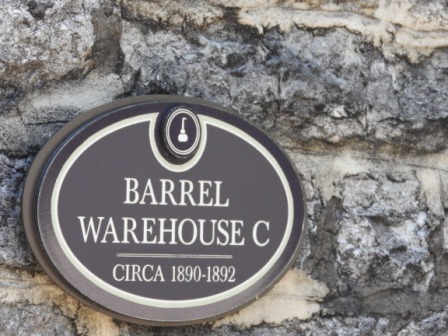 When it says straight Bourbon it has to age for a minimum of 2 yrs in charred new American oak barrels and it can just go in for a day for it to be called only Bourbon. 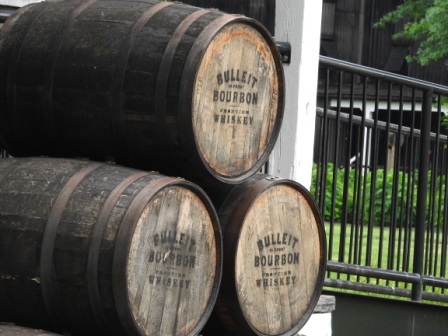 Bulleit has no age statement but is typically aged between 6-8 yrs and so is Buffalo trace for the same average period. 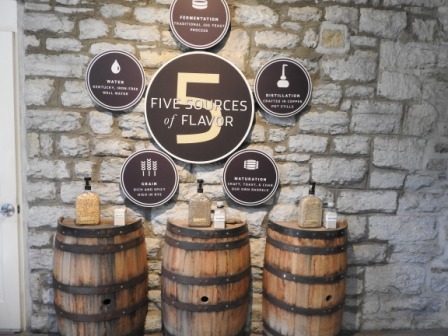 Some distilleries also experiment with different oak influences like the Maker’s Mark 46 which sees French Oak Staves for that French elegance. 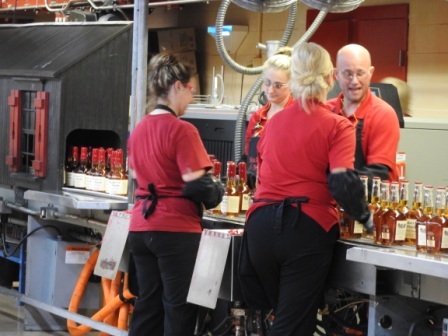 Whilst Bourbon can be made anywhere in the USA, 95% of it comes from Kentucky. The iron free water which is rich in calcium and magnesium is most preferred for distillation and that has kept the industry flourishing over the last 200 years. Jack Daniel’s, you finally hear it! JD is a Tennessee whisky which starts its life as Bourbon and then undergoes a process of Maple Charcoal filtration also called the Lincoln County process which finally renders it to be a Tennessee whiskey. 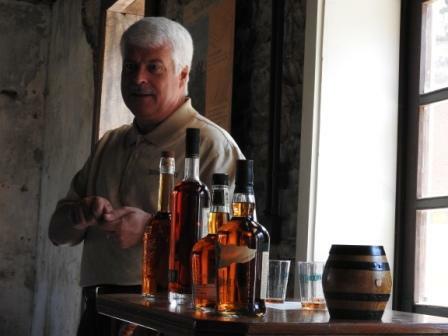 To be a Tennessee it has to be made in Tennessee unlike bourbon. So JD is not a Bourbon! ‘Straight bourbon whiskey’ doesn’t allow the use of any additives, just water. 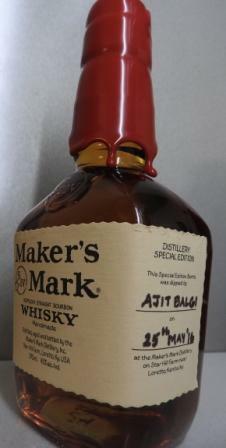 When it says only Bourbon then it does allow a small percentage of additives to enhance the liquid. Now all of the above being a given for bourbons, distilleries try and differentiate themselves with the shape of stills they use, pot stills in addition to a column, the location of the warehouses, years in aging and of course the water source, these contribute to the final elixir in the bottle. I will leave you with a few images from our recent Kentucky visit and some brands to lay hands on your next visit to the USA. 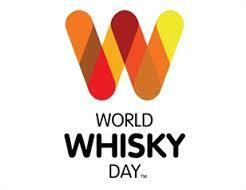 P.S: Use of Whisky or Whiskey is completely at your discretion. Nobody cares as long as the whiskeee is good! I may have already stirred up a hornet’s nest with the title! With only 4% of Californian wine production, Napa provided 27% of economic impact. One of the smallest ‘world class’ wine regions of the world, Napa is 8 kms broad and 48 kms long and around 58 kms from the coast. 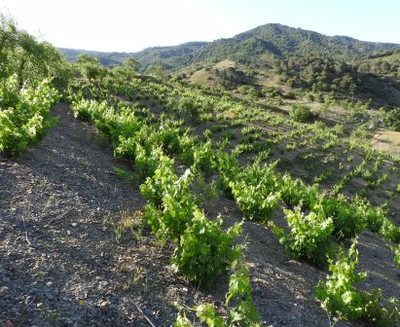 The highest vineyard areas like the Howell Mountain are around 750m above sea level; however 85% of the plantation is on the valley floor. 45000 acres in all which is 1/6th of that of Bordeaux! The tipping point for the Napa or the American wine industry came in with one historic event on 24th May 1976 wherein Californian reds and whites were pitched against top Bordeaux and Burgundy wines and the American trounced in both reds and whites; Stag’s Leap Wine Cellars in the Red and Chateau Montelena with its Chardonnay. 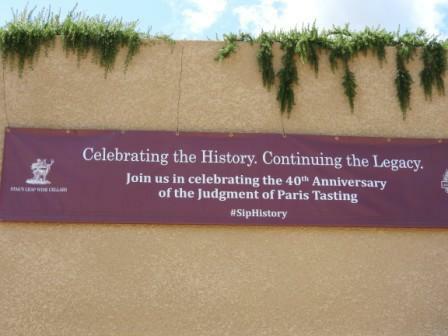 I was fortunate to partake in their 40th anniversary celebration week, of course with tasting of their winner blend. Cabernet Sauvignon it is, Cabernet forms 12% of California’s production but 40% of Napa’s and yielding 55% revenues. The others are Chardonnay, Merlot, Zinfandel and Sauvignon Blanc, Syrah, Petite-Sirah, Pinot Gris, Pinot Noir. 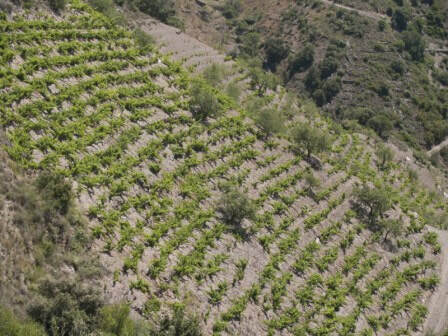 Needless to say the soils and the diversity play a role in the final nuance of the wines, it is also the weather. 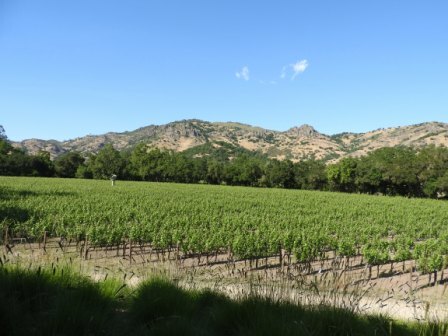 Napa has a Mediterranean climate, less than 2% of the world land mass has it where most of the rain occurs in winter giving it a dry warm growing season with diurnal temperature shifts leading to big and bold grapes. 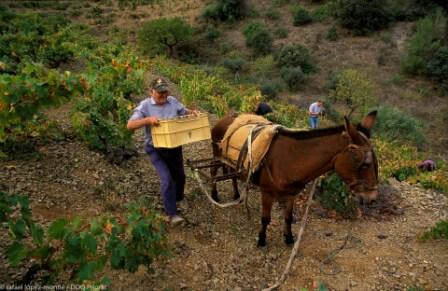 After all of these nature’s endowments the onus thoroughly lies on the keeper’s of the industry to come together make wine which is consistent and high in quality and Napa vintners are just managing to do that. 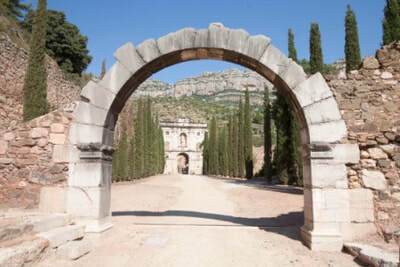 Lastly, the role of wine tourism and hospitality in the regions as a subset of marketing can’t be ignored one bit. As Robert Mondavi once said, ‘We want to raise the art of living well.’ Try booking a room in Napa and you shall know. Napa Valley was the first AVA to be recognized in California in 1981 and since then 16 nested AVAs have been identified. The Northern most Calistoga, Diamond and Spring mountain districts and the Howell mountains, Rutherford, Oakville and St Helena on the valley floor and Chiles valley district up in the Vaca ranges. And further South are the Yountville, Stag’s Leap District and the Oak Knoll regions. The Mt Vedeer, Atlas Peak lie in the Mayacamas and the Vaca ranges respectively. Coombvilles, Tiny Wild Horse Valley and Los Carneros lie in the southern reaches, the Carneros regions also extends in to Sonoma and is known for its Pinot Noirs due to the Maritime influence. The AVAs define regions but unlike the European PDO’s they give a free hand to the winery to express creativity and experiment. 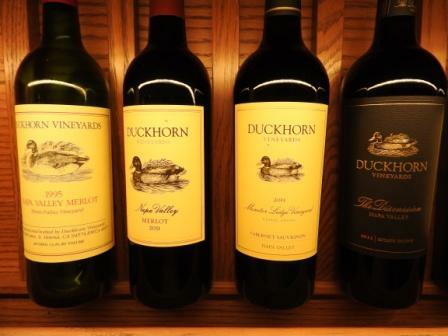 For instance The Paraduxx, a Zinfandel blend in 1994 from Duckhorn vineyards a Merlot powerhouse created quite a stir. Proprietary red wine they call it. Napa just like Sonoma was established much later than its southern Californian neighbours. George Yount, founder of the Yountville a town now in Napa city was the first to plant commercial vineyards in late 1830s, It was only after the independence of California from Mexico in 1850 and the Gold Rush during the same period that saw San Francisco’s population surge from a meager 200 in 1846 to 36000 by 1852 thus bringing in wine know-how. The first renaissance came when the vintners got Vitis vinifera vines in the 1860s, until then they were mission vines used by missionaries to make wine for the church. Charles Krug opened the first commercial winery in 1861; the same was bought by the Mondavi family in 1943. The rail connection then helped Napa ship wines out to Francisco and help get tourists to Napa. 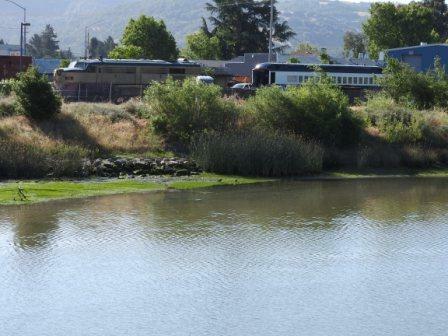 You must have heard of Napa Valley wine train as a must do when in Napa!! The industry prospered and evolved. Gustave Niebaum a wealthy Finnish trader in 1879 opened Inglenook a French Chateau style winery and was the first to sell wine in bottles. Inglenook wines attracted global attention and put Napa on the global map for the first time. The same era Crabb planted 400 grape varieties in the famous To Kalon (means ‘the beautiful’ in Greek) vineyards, today parts of the same are owned by Robert Mondavi winery, Opus One and a wine grower Andy Beckstoffer. Phylloxera, Earthquake, the Volstead act, the great depression, world war …..
First phylloxera decimated Napa completely by the 1890s and any hope of recovery was only thrashed by the San Francisco earthquake which destroyed 30 Mn gallons of wine and then the Volstead act eased the last nail in the coffin , brought in the American prohibition which lasted till 1933. 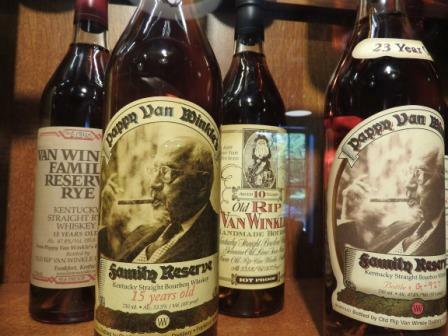 The convalescence was during depression and then the world war kept Napa bed-ridden. During this time some wine cos continued the show some with Wine Bricks during prohibition and some by pioneering initiatives post repeal. Mondavi, George Latour of Beaulieu vineyards and John Daniel of Inglenook led the pack as they formed the Napa Valley association in 1944. In 1965 Robert Mondavi moved away from the family biz to start his own the Robert Mondavi winery in Oakville and ever since he made attention grabbing wines and moreover his marketing techniques, his cellar door hospitality etc made Mondavi the face of California. It only took the aforementioned tasting in Paris also made into a movie, the Bottle Shock to drive home the point for Napa. There has been no looking back for Napa ever since as they stand at over 500 wineries most of which are family owned and producing fewer than 10000 cases per annum. ​‘All the Gold in California ‘ sang the Gatlin bros in 1979, it was the time when American wines were seeing a renaissance and garnering global confidence with California leading the way just like it does today. With 90% of US wine production and 90% of US wine exports California is a goldmine contributing over $25 bn in retail sales in the US only, whilst capturing a 60% market share which include foreign and other domestic wines. California – Back in time. With 49 of 58 counties growing grapes, 231000 hectares of vineyards, 4100 wineries, wine is certainly a statewide industry for California. 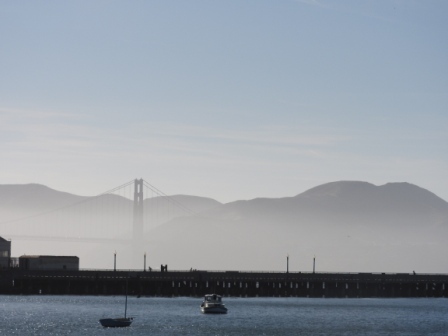 It all started in the 1700s when the Spanish missionaries began growing grapes and making wines for religious services in Southern California and slowly it stretched along the coast northwards till Sonoma. In the 1830’s first Sonoma and then Napa, two top regions of the US wine scene began making wines. 1857 saw the opening of Beuna Vista in Sonoma and 1861 Charles Krug opened the first commercial winery in Napa. The historic Gold rush led to a 150% growth in vineyard area , it was a result of immigration which in turn got in wine expertise. America was drinking all the way to the 1900’s until prohibition struck and California lost 94% of its vineyards. ​Resurrection began in 1933 post repeal and E&J Gallo, the world’s largest winery today set shop then. The next few decades the industry limped but moved up. Only in the 60’s that it gathered pace as stalwarts like Robert Mondavi showed confidence in the industry and opened a winery in Napa, the first major one to open post prohibition. He led by example and endeavored to name wines by grape varietals which became a new world norm and his oaked Sauvignon blanc which he called the Fume Blanc (smoked white) became synonymous for a Sauvignon. Quality wine making had arrived in California and it showed in the momentous ‘Judgment of Paris’. The increased demand 1980s and 90s saw push for quality and of course the number of wineries grew at a rapid pace. In a bid to take control the US government demarcated 50 areas as American Viticultural Area (AVA) based on growing conditions, soil and history. Today there are around 230 AVA’s in the US and around 136 in California. 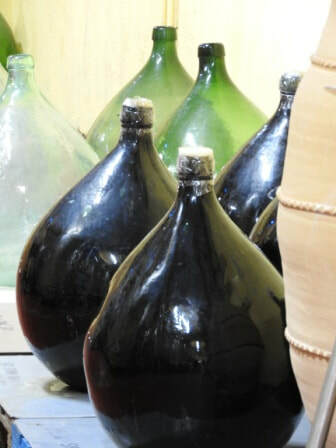 The turn of the millennium saw mushrooming of wineries, from 1000 in late nineties to around 4100 as of today in California and it produces 250 million 9 liter cases of wine. Lodi the most famous of the regions and is the fastest growing in the state. It is known for its Zinfandel. Situated inland the region was the epicenter of the Gold Rush. The El Dorado county is known for its Old Vine Zinfandel. California is endowed with 2800 different soil types and varied geography comprising mountains, valleys, deserts, and coasts, and this allows a myriad grape varieties and wine styles. 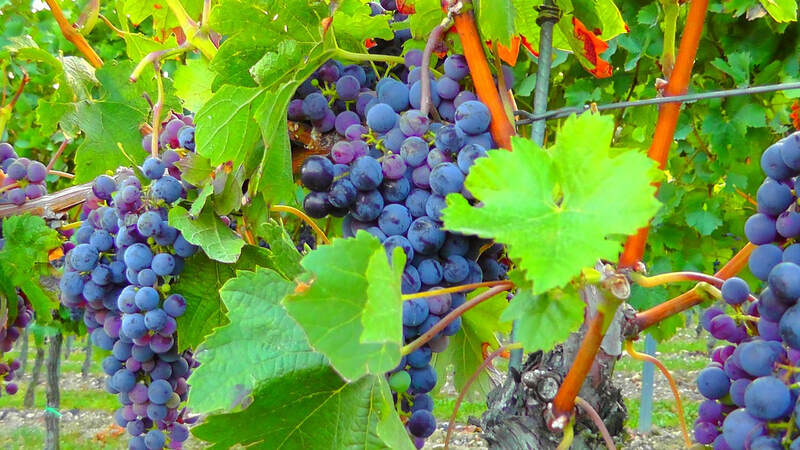 California grows around 110 different grape varieties. In reds Cabernet Sauvignon, Merlot and Pinot Noir lead the pack with Zinfandel being their signature red. In white the kind of whites, Chardonnay rules the roost followed by a surprise, Pinot Grigio and then the Sauvignon Blanc. Riesling and Moscato are gaining feet well too. 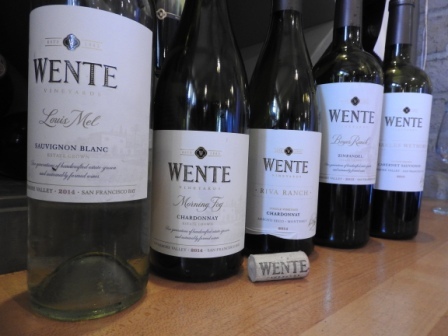 If you were to stereotype Californian wines, they stand for big and bold reds, opulent and tropical whites and lush and perfumed roses. 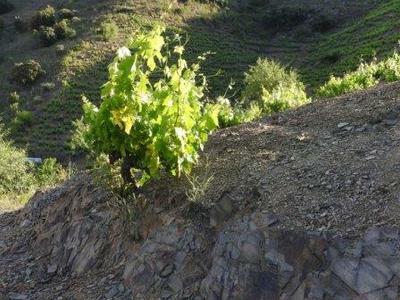 India was looking for affordable options for Riesling and Pinot Noir, this was when the market seemed to be getting ready for wines some time in 2011 and there were no options but for the mighty French. This was when Cono Sur a Chilean brand was introduced in the market, a brand which offered a Pinot, Riesling, Gewurztraminer and more at a sub Rs 1600 price point then and it hasn’t changed much since. 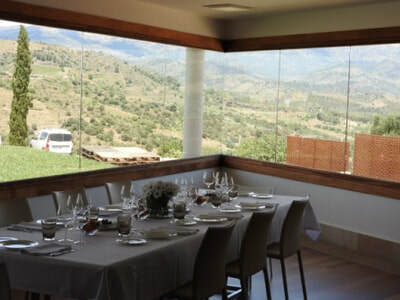 Cono Sur was a brand established in 1993 with a vision to serve the foreign market and given Chile’s wine growing conditions, perhaps the best in the world; it didn’t take much time for Cono Sur to rise to the top making it the best selling wine in the UK in 2001. Of course this would not have been possible without the finesse in the product and their effort to go the organic way in managing their vineyards making them the first carbon neutral winery in South America. . 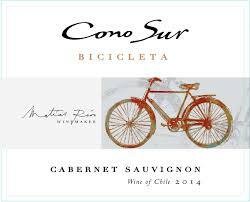 In India Cono Sur has their Bicicleta series, the bicycle here represents the company’s commitment and respect to the environment. 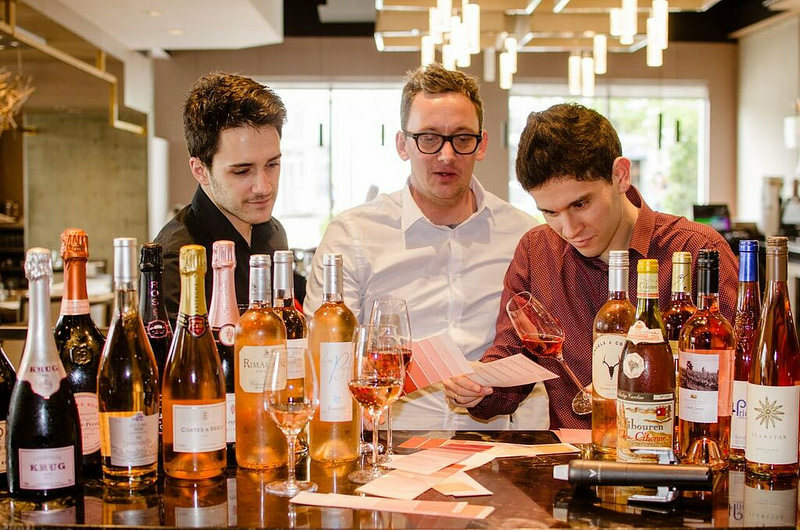 The entire series is about making very expressive and fruity wines in the modern style. 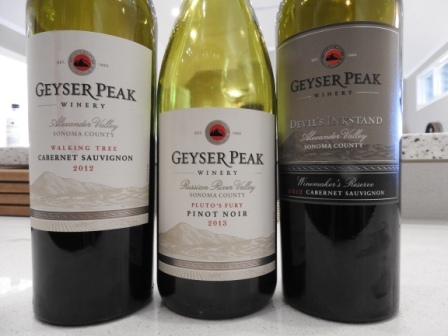 They have Chardonnay, Pinot Not, Merlot and Cabernet sauvignon easily available on retail shelves or restaurants alike. Our pick; the Pinot Noir! P.S: They have discontinued the Riesling but if you can find a 2013 vintage on the shelves, just grab it! Radico Khaitan one of the biggest liquor cos in the country may have tasted first blood when they introduced Suntory the Japanese whisky giant to India in 2011 or maybe it had something envisaged already, as the casks rested at the foothills of the Himalayas. 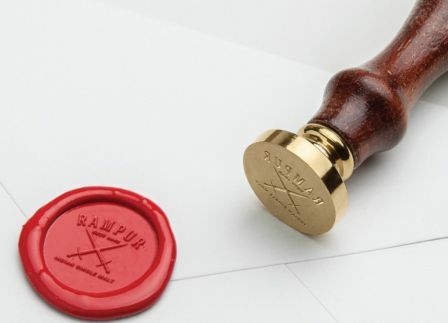 Radico Khaitan has finally unveiled ‘Rampur’ a Single malt whisky at the WSWA convention in Las Vegas. 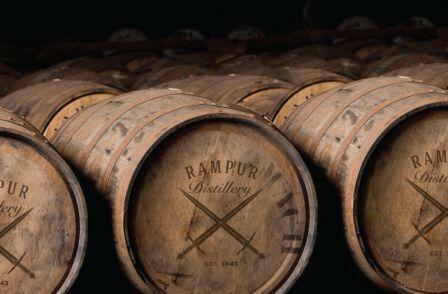 ​Radico Khaitan was formerly called the Rampur distillery, the distillery was established in 1943 and it takes us back to the time of the raj. A 15 Gun Salute princely state of British India - Rampur is known for its rich heritage and royal traditions. Rampur is one of the homes of Urdu poetry and Hindustani music and is also the home to a very distinct style of architecture, cuisines and interestingly, knife making. Taking forward the rich heritage of Rampur and the 75 years of distillation expertise, the pioneers Radico have carefully hand-crafted the Single Malt- Rampur. “Our aim is to create a valuable customer experience, consistent with the company’s brand assurance. 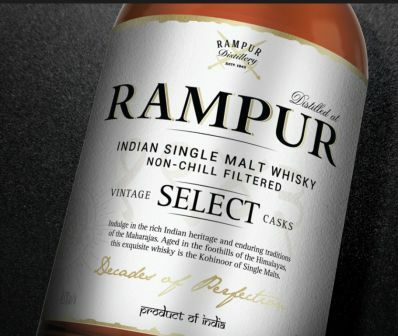 We are adding a new step to this wonderful journey with Rampur Indian Single Malt. Let this gift of the Royal Heritage give you a 15 Gun Salute!” said CMD Lalit Khaitan. 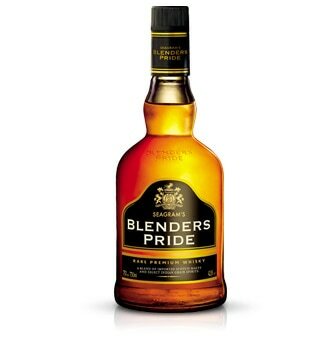 The malt will be available soon in international markets and travel retail with India to follow. Prices awaited! 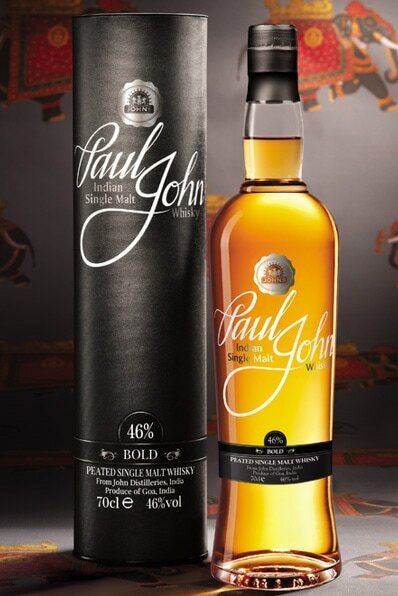 More power to India and Indian whisky! It welcomed us with a vegetal note and the Indian ‘terroir’ and then as it spent more time in the glass it starting unfurling itself and blazoned its fruit, mostly ripe whilst playing with very soft hands on the tannins. 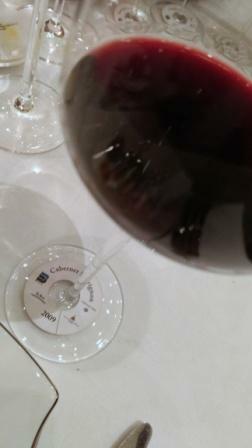 Ladies and Gentlemen, India sees yet another addition to its wine portfolio, The Daily Dose; a Cabernet Sauvignon. The Daily Dose (TDD), is a brainchild of Vishal Kadakia who runs the Wine Park a co which imports premium imported wines. Made at Oakwood winery in Ahmednagar with organic grapes from a 2 acre plot in Solapur, TDD will release 12000 bottles of its 2015 vintage. In course of the wine soiree Vishal beamed, ‘We have been working on it for 2 years. We aimed for a wine that would appeal to the Indian palate, a simple no-fuss fruity wine with easy tannins and I am glad we finally made it.’ We indeed loved the wine and the label which has an infographic on the wine making process however the thing that played on our mind was the price, at Rs 750 a bottle, could it be the daily dose of an Indian consumer! Indian wine and spirit distribution goes through three tiers and with the kind of margins that the tertiary level is what forces most wine cos to hike up their MRP to make up for schemes and margins. Nonetheless with Wine Park’s penetration in the Indian hotels and restaurants we sincerely wish that this wine becomes the daily dose for consumers albeit at a price which is lower than other Indian brands on the menus thus justifying the apparent brand philosophy! 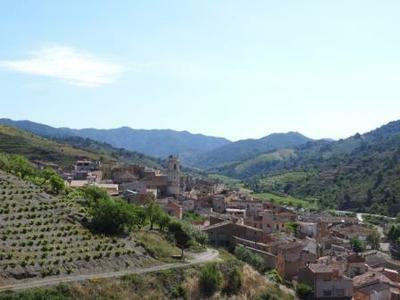 One of the most trusted wine brands in the world; Torres has always fascinated me with their consistency in doling out great value for money wines. It was only in late 2014 when I got to taste many from their range, Vina Esmeralda, Mas Rabell series, Gran Vinasol, Gran Coronas and the gran papa; Riserva Real from 2001, and I had my vote for Torres. Prestige Spirits who imports Torres wines organized a wine dinner last weekend presided over by Josep Plana, Area Manager, Torres and Siddhartha Tandon General Manager, Prestige at the Vetro, Oberoi Hotel. The soiree began with a perfumed Vina Esmeralda and then arrived a host of labels from their portfolio, Milmanda; a French barrel fermented Chardonnay, Mas La Plana; a big but rounded Cabernet Sauvignon, Altos Ibericos; a 100% Tempranillo from Rioja and lastly the aromatic and sweet Floralis Muscatel Oro. The wines were paired with some exquisite dishes from Adriano’s Kitchen and the whole experience went into Cinderella’s hour. India is now seeing entry of Spanish wines and Torres has surely paved the path! ​I always knew the importance of glassware when it came to appreciating a wine; it makes a world of difference. My knowledge got reinstated and I understood glasses better at the Riedel glass tasting organized by Aspri Spirits who also deal in Riedel glassware. Riedel an Austrian brand has been in the business of production of glassware and for 260 years and spanning 11 generations and is renowned and established worldwide for designing and producing the highest quality glasses and decanters for the enjoyment of wine and spirits. In the late 1950’s Claus J. Riedel was the first person ever in history to introduce and develop wine friendly stemware which delivers the bouquet, taste, balance and finish of a wine to the senses. He also introduced the concept of grape specific glassware. A glass consists of three parts- the bowl, the stem and the base, Riedel works on the different dimensions of these to create distinct glassware for a range of grape varieties. We tasted a Sauvignon blanc out of the right glass and subsequently in glasses designed for Chardonnay, Pinot Noir and Cabernet, all in the room could tell why the Sauvignon Blanc glass was worth all the halo. And we repeated the same with a Pinot Noir, a chardonnay and Bordeaux. Riedel goes by the saying that ‘The content commands the shape’ and with the tasting we could see why! Many hotels in the country use Riedel stemware to give you a good wine experience however none may offer you a glass typical for every varietal. So it up to wine lovers to slowly build a collection of glassware in their home bar, you will tell the difference! Hugel entices India with Alsatian nobles! 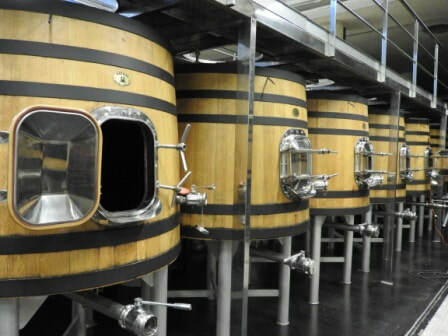 Famille Hugel requires no introduction in the world of wine, the wine co which celebrates its 375th year has remained one of the pioneers of winemaking in Alsace. 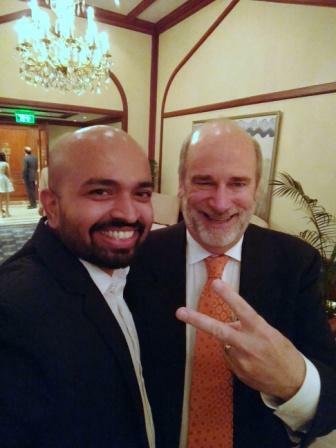 Etienne Hugel the 12th generation of the family is in India, his fourth time, to talk about Wines, Alsace and of course to get fascinated by India’s promise in wine yet again. 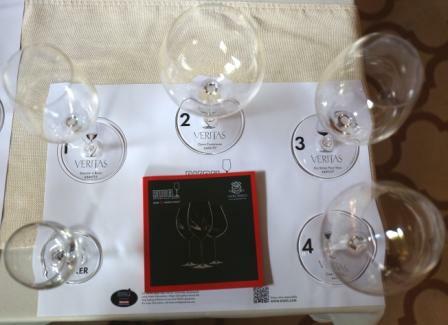 He hosted a wine afternoon jointly with India’s first man of wines Sanjay Menon for wine media and professionals. Quoting from the book Wine & War, “The Hugel story, in many ways, is the story of Alsace.”My grandfather had to change his nationality four times," said Andre Hugel (Etienne’s father). Grandfather Emile was born in 1869. He was born French, but two years later, in 1871, Alsace was taken over by Germany after the Franco-Prussian War, and he became German. The end of World War 1 in 1918 made him French again. In 1940, when Alsace was annexed, he was forced to become German. By 1950, when Emile died at the age of eighty-one, he was once again French. 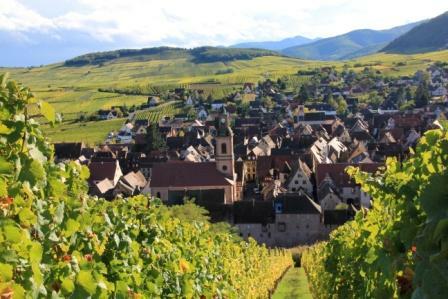 The constant swing between nationalities resulted in a kind of regional schizophrenia, a feeling of being part French, part German, but most of all Alsatian.” Rhine bottles, German grape varietals, naming by grape varietals and such Germanic influences are prevalent not just in Hugel but all of Alsace. Hugel et fils when French, Hugel u. Sohne when under the German rule the Hugel family finally renamed it to #Famille Hugel in 2015. ‘Family resonates globally and we thought it is high time we showed gratitude and include the other gender that plays an equal role in business.’ said Etienne. ​Gentil Hugel a blend of Alsatian classic grape varietals Pinot Blanc, Slyvaner, Riesling and Gewurztraminer opened the tasting with its vibrancy akin to Etienne’s energy in the room couple with his slapstick humour. The classic Riesling 2014 followed only to be overtaken by the Riesling Grossi Laue 2010, the latter was showcased in India for the first time. ‘The yellow, red and green colours that endow the brand were actually inspired from Maggi in the early 20th century when a friend of the Hugels working for Maggi came back with the suggestion.’ beamed Etienne. Pinot Gris a richer rendition of the global phenomenon Pinot Grigio was next from Hugels arsenal, the classic and a whopping 15 % alcohol stunner the 2010 Pinot Gris Grossi Laue (refers to the best vineyards in the region). Last but not the least was the grape varietal which is often referred to as a match made in heaven for Asian food, Gewurztraminer showed up in two avatars a young classic dry and the second a sweet late harvest (vendange tardive)from 2007. 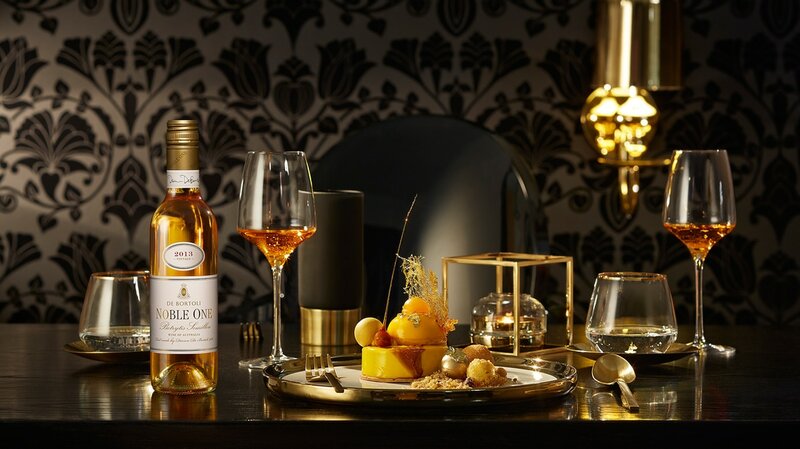 The former was reminiscent of lychees and roses and the latter of honey, roses, prunes and floral nuances. 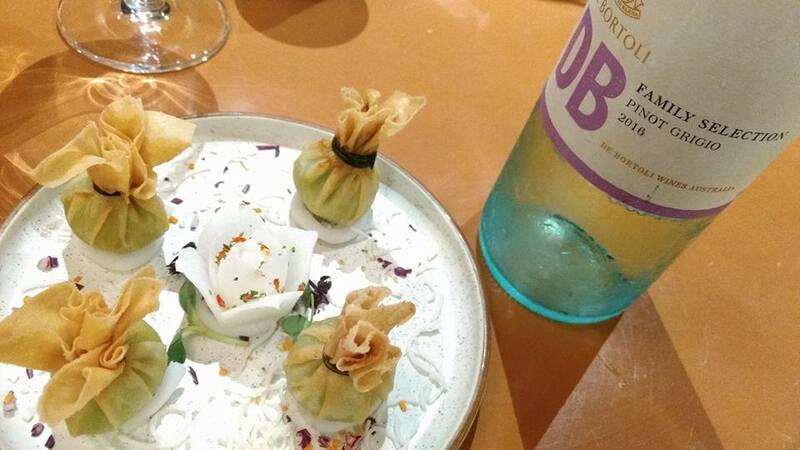 Rieslings to certain extent, Gewurztraminer and Pinot Gris in our opinion are not yet on the Indian consumer’s radar, but when they do and hopefully soon there will be no looking back.